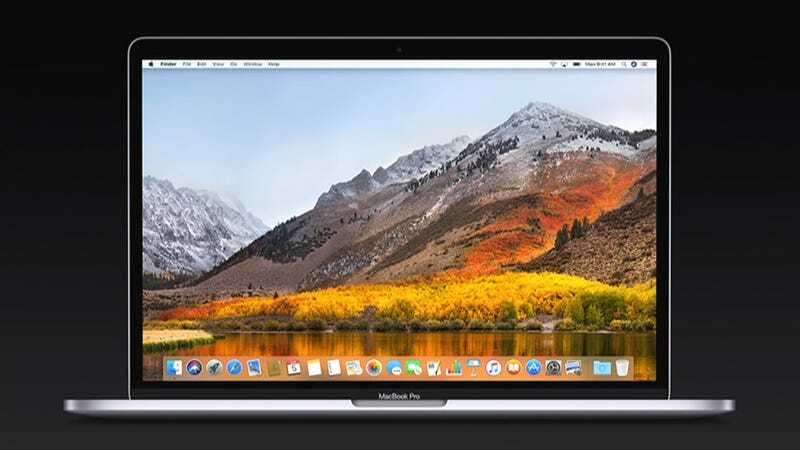 macOS High Sierra is heading your way on September 25, and while it’s not packed with major new features to transform your Mac computing experience, there are some cool new tricks you should know about—here are 11 of them to get familiar with before the OS arrives on your machine. If someone is doing something particularly memorable at the other end of a FaceTime call, High Sierra lets you snap the action as a Live Photo using the button at the bottom of the frame. Both participants get notified though, so you can’t photograph people secretly. As usual, Siri gets smarter and better able to understand you in macOS High Sierra, but in terms of actual new tricks for your Mac computer, try asking for some music you’ll like or for some mellow tunes—assuming you’re a paid-up Apple Music member. High Sierra transitions your Mac to the brand new Apple File System or APFS. A lot of the improvements and upgrades happen behind the scenes, but you should notice a much faster response when carrying out jobs like duplicating files and finding the size of a folder. New in Mail in High Sierra is a Top Hits panel in search, powered by Spotlight: Your messages get intelligently analysed based on how you interact with them, so you should find more relevant emails appear above other results whenever you type in a search. Also new in Mail is a split view mode that lets you open up a compose window on one side of the screen while keeping an eye on your inbox on the other. You’ll automatically get put into split view mode when you click the compose button when running Mail full screen. One of the changes coming to Photos is an upgrade in the smart facial recognition system that picks out your friends, family members, colleagues, and everyone else in your snaps. Apple says the system works better than ever, and now syncs across all your devices. Also new in Photos are a bunch of extra editing tools, including a curves dialog for fine-tuning the color and contrast of your pictures—features normally found in fancier photo editors like Adobe Lightroom or the now defunct Apple Aperture. As in iOS 11, Photos can now play GIFs and turn Live Photos into loop clips, bounce clips, or long exposure-style shots too. Notes can now be pinned (via the File or right-click menu), helping you remember the most important stuff on your to do list or list of groceries. Also new are tables, which you can insert from the toolbar at the top of the Notes screen or via the Format menu. Before High Sierra, if you wanted VR on a Mac you had to make do with a very old and not very functional beta from Oculus. With macOS High Sierra comes full support for Valve’s SteamVR and the HTC Vive for the first time, as long as you’ve got Apple hardware that’s powerful enough to cope. Developers can now work on VR worlds inside macOS as well, as demoed on stage at WWDC 2017. Safari is upgraded to run smarter and faster, and will block auto-playing videos by default so you’re not suddenly surprised by music or speech blaring out from one of your browsing tabs. You can change this behavior and whitelist sites in the Safari Preferences. Also new is a bevy of Safari upgrades: Options to set zoom levels, content blocking, permissions, auto-play settings, and reader mode behavior on a site-by-site basis (Reader can be always on, if you want). Choose Settings for this Website from the Safari menu. Catching up with the likes of Google Drive and Dropbox, macOS High Sierra now lets you share links to files right from inside the desktop OS itself—just choose Add People from the Share menu in Finder to start adding, and use the options panel to set permissions. Having previously been introduced as a way of getting data copied between iOS and macOS, you can now use the Universal Clipboard feature to copy stuff between two High Sierra machines, as long as they’re both using the same Apple iCloud account. Checking up on flights was previously possible in macOS, but it was somewhat hidden. With High Sierra, it’s built right into Spotlight—type in your flight number to get details on departure and arrival times, and a map showing where your chosen plane is in the air.